After a little break I am back and talking desserts. 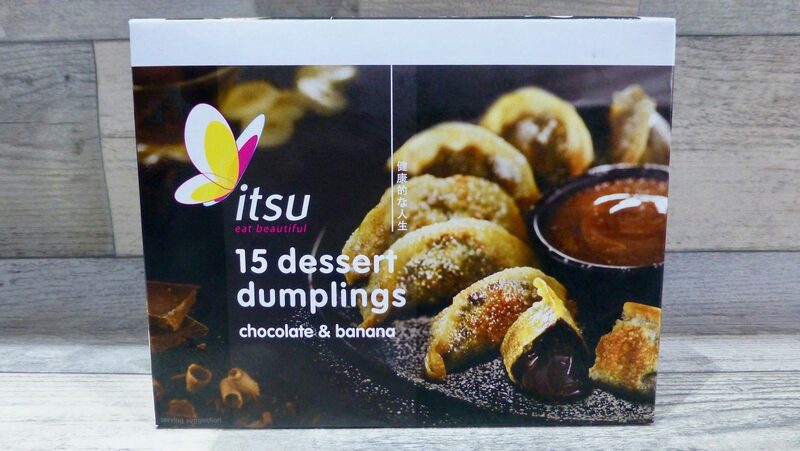 Nestled in the frozen aisle are these Itsu Sweet Chocolate and Banana Dessert Dumplings *. Itsu aren’t the first to twist their classic savoury dishes into a sweet dessert, but they’re certainly the first I’ve tried. The picture alone makes me want to dive right in, and can only hope they turn out as good as they look. 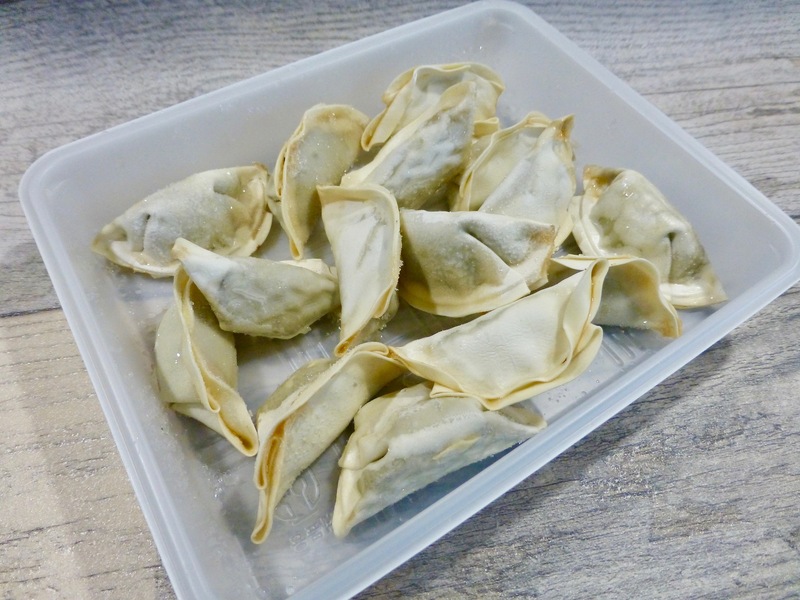 Coming in at £3.50 a pop, each box contains 15 dessert dumplings. These can be found in frozen aisles at Tesco, Waitrose and Ocado. They come in three flavours, Chocolate & Banana, Caramelised Apple and Sweet Berry. Being a rocket scientist is not required to cook these and you are not limited to just one cooking method. Whether you are wishing to oven cook, shallow fry or steam, all can be cooked from frozen in under 6 minutes. I opted for oven cook purely as the oven was on. What is undeniable is once cooked they do not look like they do on the box! Where is the pure golden deliciousness?? In a bid to achieve golden beauty I also fried some but alas that level of delectability could be achieved. Versatile on how they can be served, suggestions on the box include ice cream, fruit, dusted with sugar, with yoghurt or with a dipping sauce. Given there was a jar of some stunning salted caramel sauce in the fridge that is what was used here and boy was it a good choice. The flavour was pretty darn chocolatey with more of an intense bitterness to it. The banana flavour was evident and worked really well with the chocolate, as it should do. You certainly cannot complain about the sheer amount of filling in the dumplings as it was so jam packed it was practically oozing out. The texture was a little odd and aside from the initially crunchiness to the pinched parts it was pretty soft and a bit chewy, which did let it down. 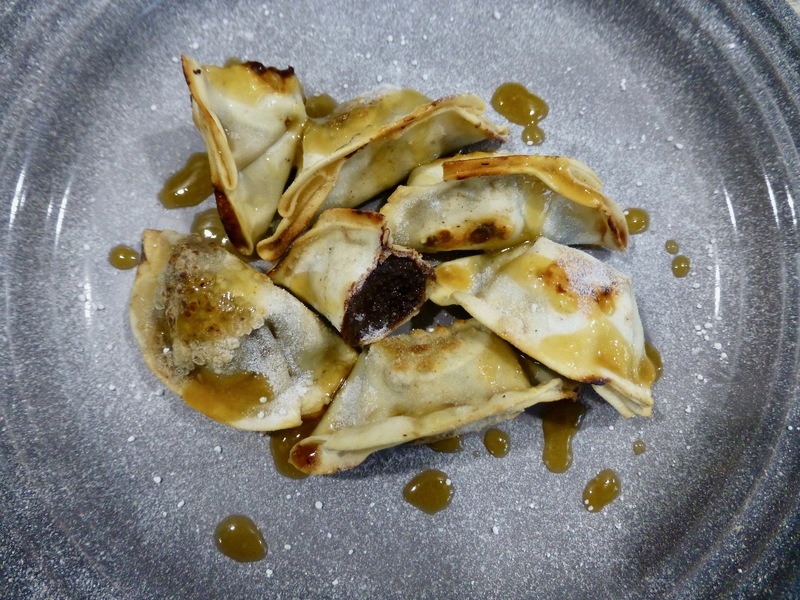 Flavour wise these Itsu Sweet Chocolate and Banana Dessert Dumplings meet the brief. They taste super chocolatey and have a good banana hit to them. What let’s it down is the dough. I know dumplings are generally softer however there is soft and then there is chewy and that is what we have here. If anyone has some tips on how to cook them better then send them this way! *These were gifted in exchange for a review. All opinions are my own.